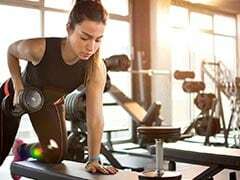 #MondayMotivation: For all those who feel guilty about binge eating during the weekend, celebrity Pilates trainer Namrata Purohit is here with 5 tips to get back on track. There is nothing to feel guilty about binge eating during weekend. And sadly, yet another weekend has come to an end! Wait, what? Worried about binge eating over the weekend? Well, you can relax as it is something we all fall prey to once in while. 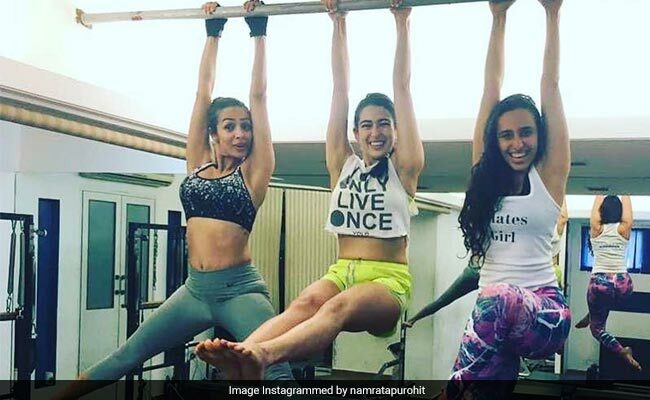 Agrees celebrity Pilates trainer Namrata Purohit, took to her Instagram TV to share a video where she tells 5 things to do after you have binge eaten over a weekend. She begins the video by humbly accepting that she too indulges in her cravings and binge eats over the weekend. She agrees that you cannot deprive yourself of food and things you enjoy all the time. So, she heartily enjoyed her chocolate crepe and pizza over the weekend. We may have binge eaten over the weekend but don’t worry. Here’s 5 things to do in order to get back on track and not feel guilty about it! 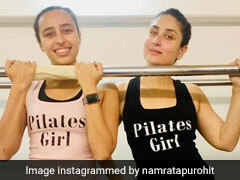 #MondayMotivation: Kareena Kapoor Khan and Malaika Arora are giving us some major fitness goals this Monday. Read here to find the best Monday motivation you will ever need! 1. 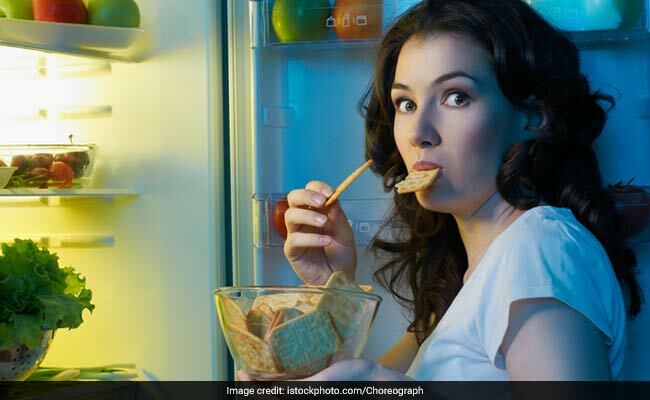 There is nothing wrong in enjoying cheat meals, says Namrata. However, it is important to get back on track right after your binge meal. Hence, the first thing that you can do is go for a walk. Not only will walking after a binge meal help you in digestion, it will also help in burning some calories. Instead of just sitting down and feeling too full, push yourself to go for a walk. Studies say that walking helps in emptying the stomach faster. In case you feel stuffed and full after binge eating, going for a walk can help in easing digestion. 2. Getting enough sleep is also going to help in case you have binge eaten during weekend. Namrata mentions in the video that getting 7-8 hours of sleep every day can help those on a weight loss regime or maintaining a healthy weight. Do not skip sleeping and try and get a few more hours of sleep after you have binge eaten. 3. Do not commit the blunder of skipping a meal after you have binge eaten. It is a very common tendency to feel that skipping a meal is fine after you have binge eaten. However, this should be avoided. After you have binge ea ten during weekend, the best thing to do is get back on track as soon as possible. Eat your breakfast, lunch and dinner the same way after you have binge eaten. You could work on reducing your calorie intake and include more protein-rich foods in your diet. But avoid skipping meal after binge eating during weekend, since it is important for the body to get the desired nutrition, no matter what. 4. Get back to exercising! Do not skip exercising the day after you have binge eaten. It will make you feel guilty. Do more cardiovascular exercises just in case you want to burn additional calories. The idea is to get back to your routine, as soon as possible. 5. Lastly, it is important to maintain your hydration levels after you have binge eaten. Drink enough water throughout the day. It is not just important for your overall health, it also helps in keeping your appetite under control. At times, we mistake feeling thirsty for feeling hungry. This is exactly where water intake comes to play. So, it is okay to cheat and binge eat, as far as you get back on track right on time. Do not regret what you eat and enjoy every meal as much as you can!